I have been reading Diane Chamberlain’s books for many years and I am always excited when a new book is going to be released. Needless to say, I was thrilled to have the opportunity to read an early copy of “The Dream Daughter”. I think that the blurb for this book is very well written. It doesn’t give all the good stuff away, and I promise I won’t either. I didn’t know very much going into this novel and I’m glad it worked out that way. The story begins in 1970. Twenty-six-year-old Caroline (Carly) Sears has just been told that the baby she’s carrying has a heart defect. Carly has already been through so much in the last year. So when she learns that it’s unlikely that anything can be done to help her baby, she is devastated. This baby means everything to Carly. Thankfully she has the support of her sister, Patti and brother in law, Hunter. Hunter came to be a part of their family just a few years before. He is a physicist and he feels he can help Carly and her baby. He desperately wants to help her. But what Hunter tells Carly sounds unbelievable. At first, she wonders if he’s teasing her….and then she wonders if he’s lost his mind. However, Carly will do anything if it means there is even the smallest possibility of saving her unborn child. Wow! I LOVED this novel. I hated putting it down. But as I got close to the end, I started slowing down. I really didn’t want it to be over yet. I’m so thankful that I have a mother who will let me go on and on about the books I’m reading. But this time she asked me to stop sharing what was happening…. I got her hooked and now she wants to read it herself. I will be honest; there was a moment or two near the beginning where I wondered if this book might not be for me. I wasn’t sure how I felt about the direction the story was taking. But I shouldn’t have worried as before I knew it, I was completely engrossed in the story. I have so much respect for Diane Chamberlain. She takes chances and pushes the boundaries with her writing. This novel crosses genres that I never expected. 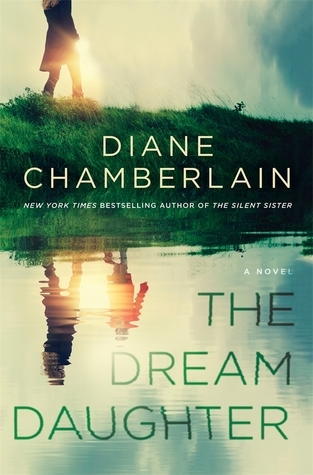 “The Dream Daughter” is a wonderful story about love, family, courage, and the unbelievable power of a mother’s love. In my opinion, this was definitely another home run by Diane Chamberlain. The unique story captured my imagination and all of the characters captured my heart. I highly recommend this novel, and I really hope that everyone who reads it loves it as much as I do. Another 80’s song! I’m sorry (not sorry). I just can’t help it! This song popped into my head on Saturday and I haven’t been able to get it out. This song makes me so happy. And we used to be able to dial 867-5309 with my local area code and it would actually play the song. I haven’t tried it in a while though. Investigative journalist, Jane March arrives home, exhausted after a long day. However, after reading an email from her current intern, Caryn, Jane’s tiredness is instantly forgotten. Caryn Rodgers is a USC journalism student and has just started interning for Jane. The email is about an essay Caryn has written, a personal essay about something that happened years ago when she attended Windemere, an elite all-girls school. Caryn has written about something happened with a teacher that he was never punished for. The teacher is, Dr. Gregory Copeland. Dr. Copeland has worked at Windemere School for Girls for many years. He’s popular with everyone…the staff, parents, and the students. He’s a married father of two and is currently chair of the English department at Windemere. However, Dr. Copeland is also a predator and has been using his position of power to take advantage of his young students for many years. At first, Caryn isn’t sure if she wants to publicly name him. She knows her parents won’t be thrilled that she’s going public with this. Jane gets a little pushback at first from some of her co-workers about publishing Caryn’s essay, but she quickly puts an end to that. After the article is published, other former students come forward with their own allegations against Copeland. Two alumnae join up with Jane and Caryn and are determined to do something about Dr. Copeland. Will they be successful? Will Dr. Gregory Copeland finally get what’s coming to him? And what about the others that were complicit in keeping some of his secrets? Will they be brought to task as well? I was really excited to get my hands on this novel. The description was intriguing and the beautiful cover didn’t hurt either. 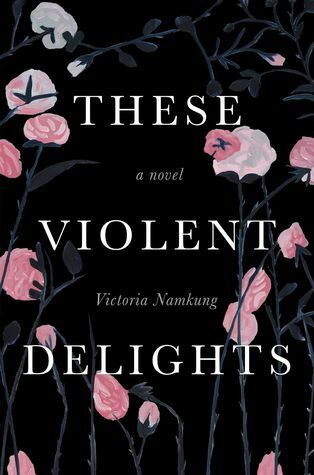 “These Violent Delights” wasn’t exactly what I was expecting, but I enjoyed it nonetheless. This was a thought-provoking read that I read in just two sittings. It’s scary how relevant and realistic the issues in this novel are and how often these things still happen. I don’t feel like anything was exaggerated or written for sensationalism. This novel highlights the failure of those involved in protecting young women. In what is supposed to be a safe place, they were targeted by a predator for years, where he was free to continue teaching and grooming even more young girls. We also see what happens when social media gets involved in cases like this, often blaming the victims and/or offering excuses for the accused. The story is told from multiple points of view. There were a few times that I got mixed up and wasn’t sure whose point of view I was reading, but for the most part, I was able to keep things straight. These characters were well-written and my heart broke for them as I read about the long-term and lasting effects the abuse had on them. Victoria Namkung has written a very realistic, relevant, and timely novel. At times it really felt like I was reading a non-fiction book. It has a powerful message and also tells an interesting story. Thank you to Griffith Moon for the opportunity to read this book in exchange for my honest review. 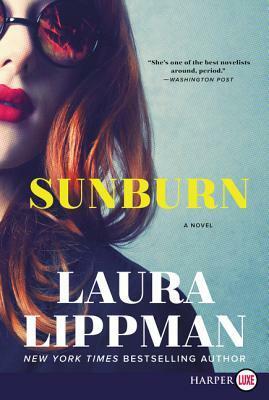 The cover of “Sunburn” caught my eye right away. And after reading the book description, I was really looking forward to getting my hands on this new novel from Laura Lippman. The novel opens in Belleville, Delaware in 1995. When Polly and Adam meet at the High-Ho restaurant in Belleville, they’re both just passing through. Polly, a redhead with a two-day-old sunburn catches Adam’s eye. They aren’t sure what to make of each other. It isn’t love at first sight but there is a definite attraction. Polly has a past but she’s planning for a brighter future. She has no intention of changing those plans or letting anyone stand in her way. But sometimes people with the best intentions have the worst luck. It’s not long before Adam and Polly are completely wrapped up in each other. Somehow these two strangers who are supposed to just be passing through end up staying in Belleville that summer. They both know it won’t last. It can’t last….could it? Although Adam knows some of Polly’s past he realizes there’s so much more that he doesn’t know. He’s been warned about Polly. He’s been told that she’s only out for herself. But Adam can’t reconcile these warnings with the woman he’s getting to know. But he does wonder where she goes on those days that she borrows his truck. Polly also wonders if she can trust Adam. Is it really just a coincidence that they ended up in the same small town, at the same time? Polly’s track record with men…well, it’s muddy, to say the least. But for some reason, she feels safe with Adam, like she can finally be herself. But her past continues to haunt her, and not everyone is happy for Polly and Adam. Though they both have some reservations, Polly and Adam start to make plans for the future. But then something happens that throws a wrench into those plans. Will what they have together survive what comes next? I really enjoyed this novel. It was a bit of a slow burn at first, but the pace picked up and it wasn’t long before I was caught up in the story. Polly and Adam were both very complex characters, with secrets that left me unsure of who I should trust. Polly especially intrigued me. I wanted to know the reasons for some of her actions. There were quite a few points of view, though the majority of the story was told from Polly and Adam’s perspective. “Sunburn” was an entertaining psychological suspense novel with an intriguing storyline that kept me flipping pages well past my bedtime. However, it was worth it as I loved how everything came together in an unexpected but extremely satisfying way. Thank you to William Morrow for the opportunity to read this book in exchange for my honest review.